Many experts agree that the most important part of a mold test / investigation is a visual inspection. This is the initial step in identifying possible contamination problems. The assessment will identify any visible water leaks or moisture stains on ceilings, walls floors and under counters. The air conditioning system and heating systems will be visually inspected as well as the attic and crawl spaces. The extent of any water damage and mold growth will be visually assessed by a certified mold tester. This test is important to determine remedial strategies. Ventilation systems shall also be visually checked, particularly for damp filters but also for damp conditions elsewhere in the system, and for overall cleanliness. It is important that someone who has been trained and understands fundamentals of both fungus and building construction to conduct a thorough investigation. The use of equipment such as a boroscope to view spaces in duct work or inside walls is utilized, as is a moisture meter to help identify sources of mold growth and the extent of water damage. Mold sampling will be recommended if there is noticeable mold growth, musty odor, visible staining or poorly maintained HVAC systems or construction defects. By combining a visual assessment with air, tape or swab sampling, we can help identify the hidden source of mold, including toxic mold and black mold, allergens and indoor pollutants and the extent of any acute or chronic water or moisture damage. Photo documentation can also be useful to inform and present the conditions at the time of the assessment. If the moisture problems aren't addressed then the mold problems will return. Often the greatest portion of time in an investigation is determining how and where the moisture is coming from. This is a quick, cost effective test to confirm mold growth, check for significant mold related air quality degradation or have a specific mold identified, including toxic mold and black mold. It involves: The taking of up to 3 samples (2 interior and 1 exterior), brief visual assessment and then preparation of a report containing a summary of field activities, the results of the test, photographs (if required) and any pertinent findings, conclusions and recommendations. If access to the contaminated area is limited, the report may include recommendations needed to carefully start cleanup without further sampling or testing. If mold contamination does exist and a remediation protocol is desired, Phase II Assessment may be needed to complete a protocol. The purpose of an indoor air quality testing is to determine the type and amount of airborne contamination in a building. Air sampling may be necessary if the presence of mold allergens or toxic mold is suspected but cannot be identified visually. When mold air testing is performed, both the indoor and outdoor air are sampled, so the results can be compared to see if a problem exists. Typically, the indoor sample is taken while the heating and/or air conditioning unit is operating. This will ensure the interior air is effectively tested. A certified inspector, trained in appropriate sampling methodology, shall perform all necessary air monitoring. Air monitoring is essential if there is evidence from a visual test that the ventilation systems may be contaminated. The purpose of such air monitoring is to assess the extent of contamination throughout the building. Sampling should be conducted while ventilation systems are operating. Air monitoring is necessary if the presence of mold is suspected in a particular area of the structure (i.e. a microbial volatile odor is detected) but cannot be identified visually or by bulk sampling. The purpose of such air monitoring is to determine the location and/or extent of mold contamination. Air monitoring is also necessary if the building inhabitants are suffering from health problems which are or may be associated with fungal exposure. If air monitoring is performed, for comparative purposes, outdoor air samples should be collected concurrently at an air intake, if possible, and at a location representative of outdoor air. The outdoor control air test is very helpful in evaluating whether there is an internally generated mold problem. Such a problem may exist if indoor mold tests report mold levels that are either (a) higher than the outdoor control air test or (b) present indoors but absent from the outdoor control test. Tape swab samples are usually collected from visibly moldy surfaces by wiping the area with a sterile swab. This type of sampling is used to identify specific mold types. Lab analysis is performed by a qualified 3rd party laboratory. The Lab is not open on weekends. Rush service is available to decrease wait time. Note: Rush service is only available for spore traps; culture plates still require 7 day incubation period. All laboratory testing will be done by ProLab. All mold testing samples entering my chain of custody will be tested exclusively by ProLabTM Laboratories. ProLab is one of the leading providers of environmental testing services in the world. 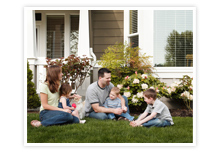 ProLab is staffed with certified indoor air quality professionals, P.h.D. mycologists, board-certified physicians, and registered clinical laboratory technicians. Their clients include home inspectors, the insurance industry, industrial hygienists, environmental engineers, IAQ professionals, other laboratories, mortgage companies, state DEP offices, state and local public health departments, schools, university hospitals, attorneys and doctors. ProLab is an EPA recognized laboratory and participates in the AIHA Environmental Microbiology Proficiency Analytical Testing EMPAT program (EMPAT #163230). ProLab laboratories are licensed, accredited, certified and affiliated with a number of governmental agencies and independent associations including the United States EPA, the State of New Jersey DEP, the State of Ohio, The American Industrial Hygiene Association (NEHA), The Water Quality Association (WQA), The American Society of Home Inspectors (ASHI), The American International Health Alliance. Often further investigation is needed to ascertain the extent of mold contamination. Included are up to 5 samples (4 interior and 1 exterior), testing and a detailed report. Get a specific protocol that your professional remediation company can use to start decontaminating the area. Including up to 3 hours of onsite activities such as: moisture detection, consulting, photo documentation and physical test. Further site testing can be done if necessary at an hourly rate for home mold testing plus trip charge. Additional samples will be collected and analyzed. Viable air samples to collect spores that will be grown in a lab for analysis. Once the home has a visual inspection and the mold circumstances have been evaluated, action can be planned to clean it up and prevent future contamination. Based upon site evaluations and sampling lab analysis results, we will provide a detailed written report that can be used for disclosure and references. In all situations, if mold exists, the underlying cause must be corrected. A must for insurance work, post sampling can demonstrate that significant improvements have been made, and to make sure that your mold remediation project has accomplished its goals. The most important part of the remediation (clean up) process is the clearance testing. This final testing procedure provides confirmation that the project has been satisfactorily remediated and that the contamination has not spread to other areas. Last but not least, if there is still contamination issues, we can help identify the problem and continue working with the remediation contractor to resolve any situation.